2 Dedos de Conversa: parece magia: puffff! E então, puffffff! O troll desaparece. Já assisti a este fenómeno duas vezes. Parece magia. Troll Aid has been launched to use the vile comments against refugees to our advantage! We all get upset when unkind words are spoken, but we are more powerful when we turn it round to become a positive action. 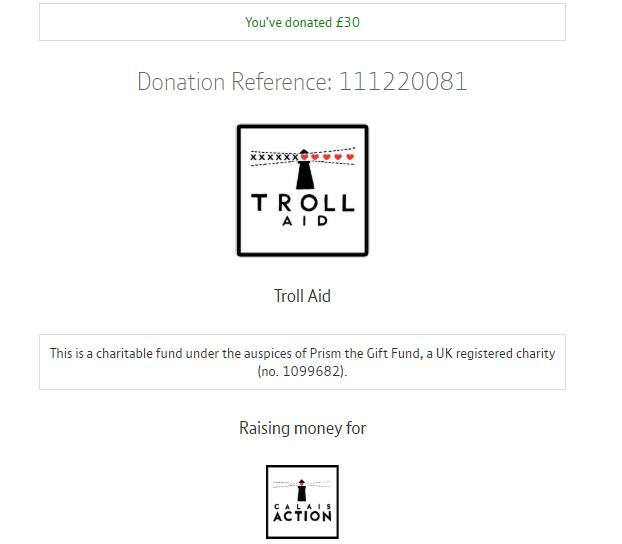 If you see trolls on any page either Twitter or Facebook (doesn’t have to be Calais Action) just simply reply to them using this link and ‪#‎TrollAid‬. 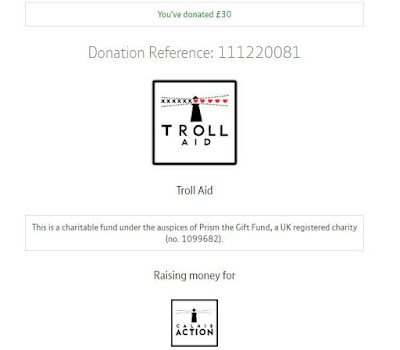 You can then donate money in their name and we can tell you how much money that particular troll has raised! Maybe give them a little thank you too.